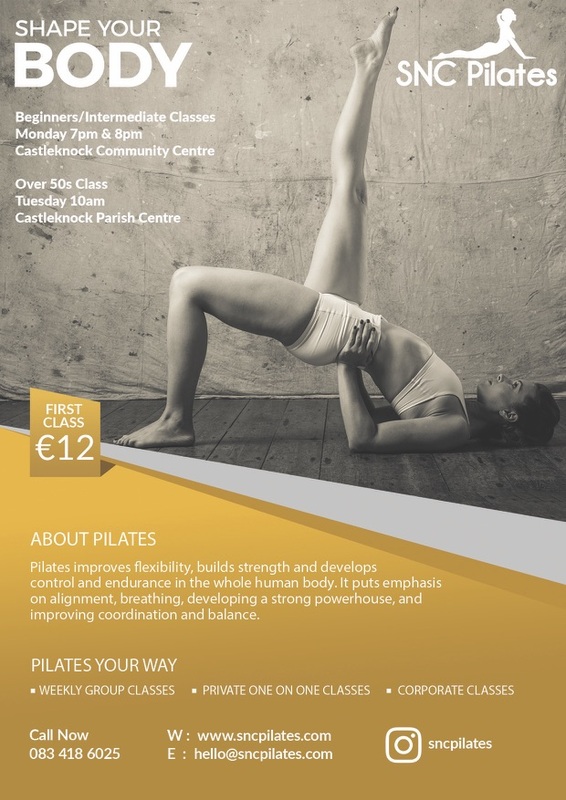 I am starting 5 new 5 week Pilates courses in June.A beginners course in Castleknock Parish Centre on Wednesdays from 7.15pm to 8.15pm, starting June 10th. 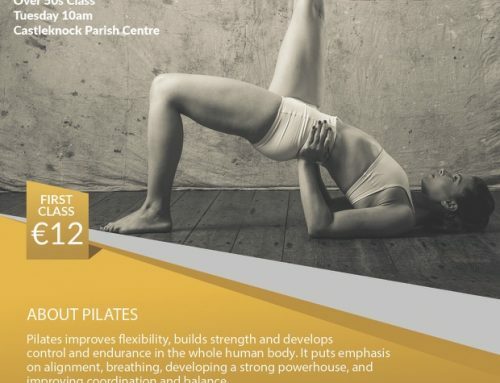 An over 50’s course in Castleknock Parish Centre on Tuesdays from 10am to 11am, starting June 9th. An intermediate/beginners course in Castleknock Community Centre on Mondays from 7pm to 8pm starting June 8th. An intermediate/beginners course in Philbblestown Community Centre on Tuesdays from 8pm to 9pm starting June 9th. An intermediate/beginners course in Castleknock Community Centre on Fridays from 7pm to 8pm starting June 12th. You can sign up on here!